Just the thought of traveling through this South Indian State conjures up images of stunning backwaters, epic roads, coconut palms, fabulous food, mind blowing beaches and well, tropical beauty at its best! 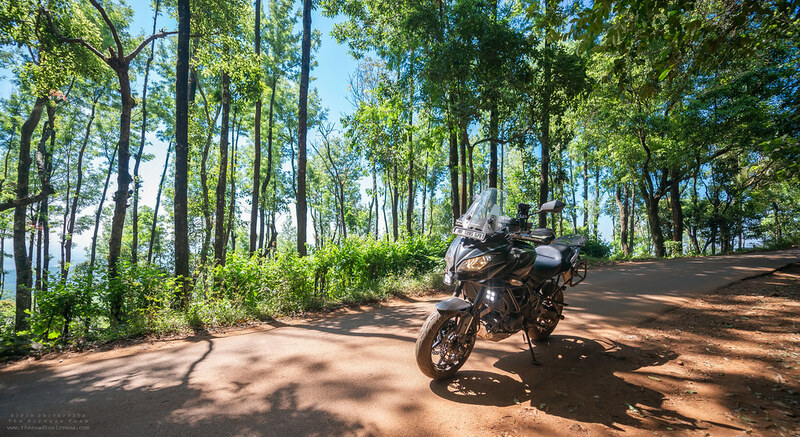 Photographer Nipun Srivastava took a week-long motorcycle ride with the Kawasaki Versys 650, riding through Goa, Karnataka and finally spending some time among the lagoons of Northern Kerala. 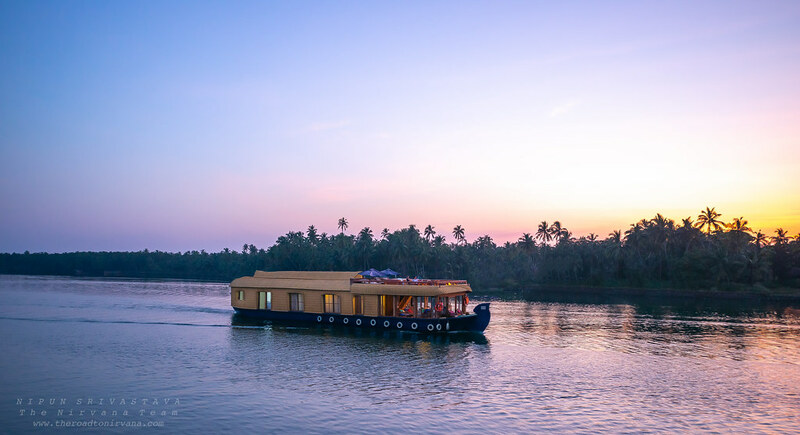 Malabar Calling – A stunning Kettuvalam Houseboat at cruise on a typical lagoon. 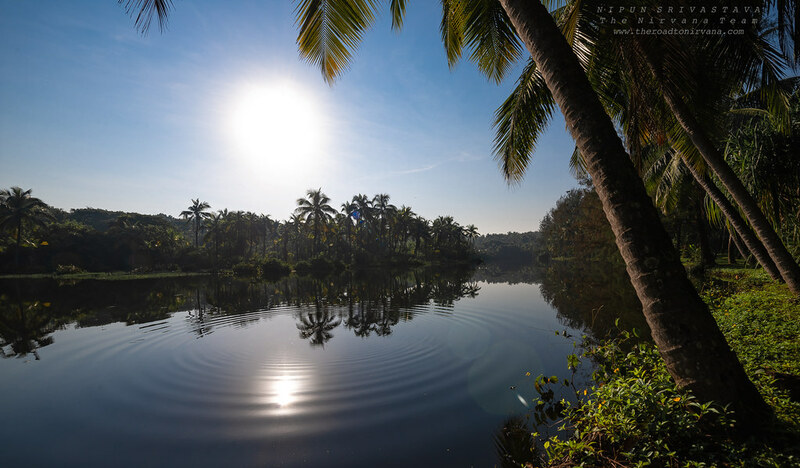 “These refreshing vistas are what greeted me as I took a stop at Bekal, in Northern Kerala. 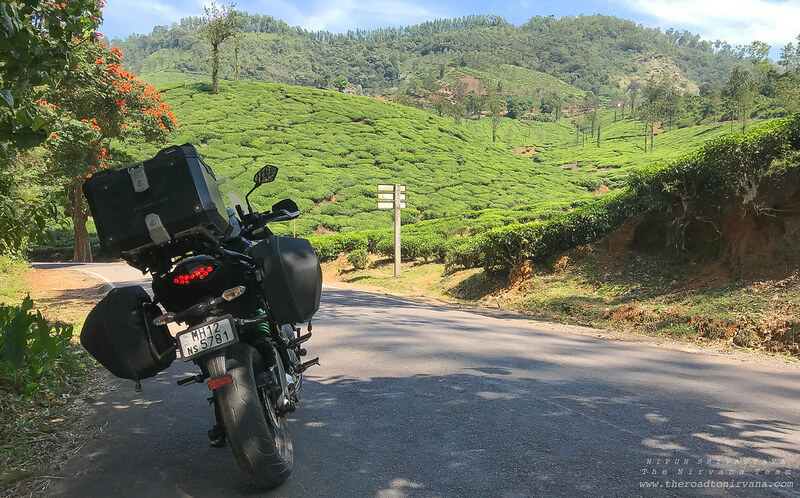 After having ridden my steed (the Kawasaki Versys 650) through Goa, then Mangalore (Karnataka) and finally into Kerala, I was happy to have covered over a thousand kilometers. What’s more is that I was now well and truly in Malabar Country. 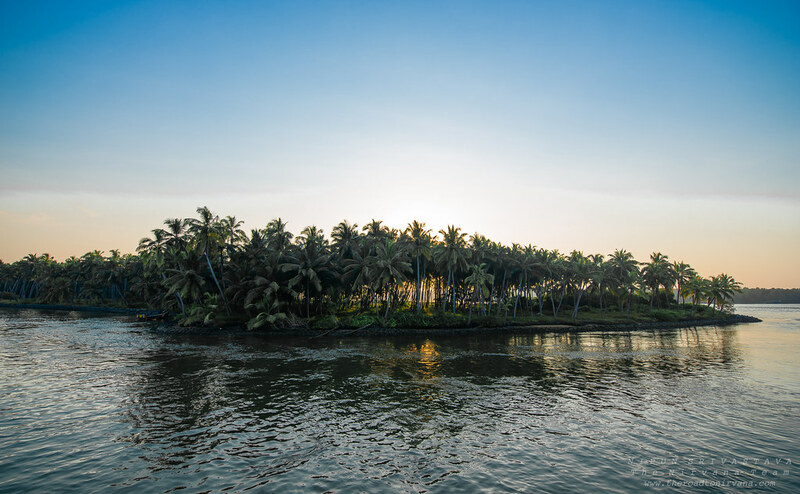 A place known for its food, culture, temples, forts, beaches, resort hotels and of course – the serene backwaters of the Arabian Sea. A sunset cruise over the (yet) noncommercial backwaters of Nileshwar is so nourishing for the soul, one needs to experience it to believe it. A two day drive or ride from Mumbai or Pune or a day’s hop from Bangalore, Nileshwar is your surest way of sampling the Kettuvalam houseboats and Kerala Culture whilst being spared the madness of usual Kerala hot spots which are known to be overflowing with tourists at most times. 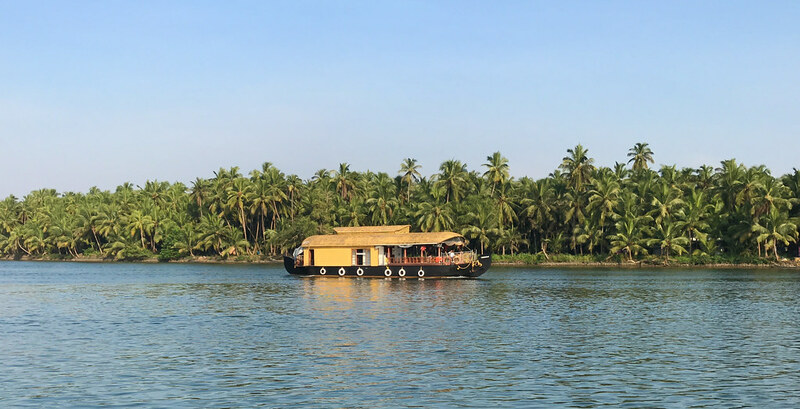 As one rides up to the backwaters over idyllic little bridges and through lush coconut groves, you come across a dozen or so houseboat operators dotted along the inner waters of Nileshwar and around. Take your pick, most these boats are similar in look and feel, however we suggest you pick Lotus Houseboats or Bekal Ripples as your cruise of choice. Their vessels are good and make for a better nautical experience. The boats have onboard kitchens, bedrooms with air-conditioning and open dining spaces fit for a family, couples or even a group of friends. Prices range from $50 to $1000 depending on the length of your cruise. Cruise choices range from six-hour day cruises to short two-hour sunset cruises and you can even stay aboard these vessels overnight as they make their way, at leisure, from Nileshwar to Valliaparamba. 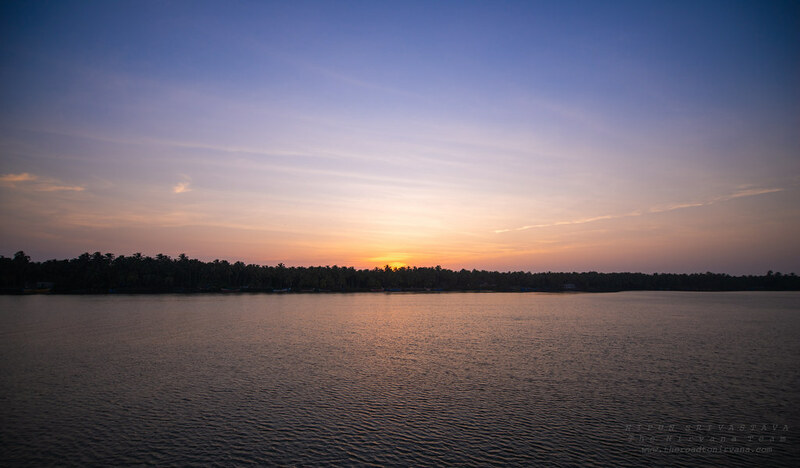 Sunset Hues – Serene waters of the Kerala Lagoons. When you ride hard, you must eat well. In this part of India, food is sublime. From seafood to the choicest meats, even vegetarian selections, prepared with tongue tingling spices fit for royalty – it’s a real treat here! Instead, here’s a look at where we stayed. Taj Bekal Resort and Spa – epic accommodation! Kerala is home to some of the most idyllic Hotel Resorts and Spa Retreats in India. 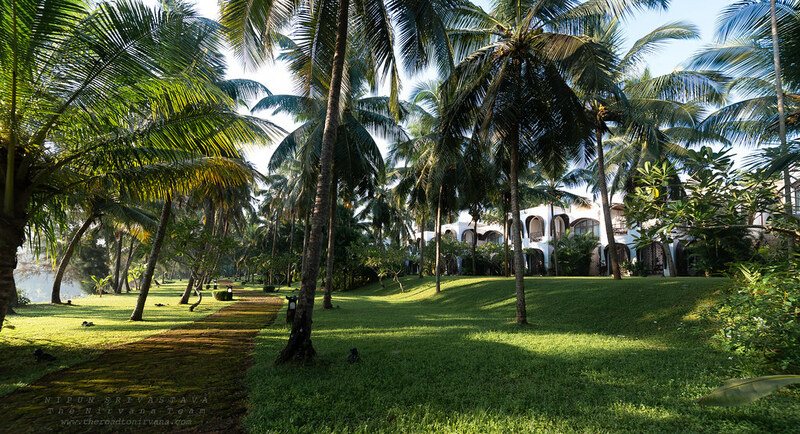 Taj Bekal, our anchor-point on this motorcycle ride, was the perfect home away from home. Genuinely, what a place to spend the better part of a week. Taking a stroll under lush coconut palms, spending an afternoon at Asia’s largest Spa (really! ), taking a moonlit raft ride on the (in-premises) river, sampling food at all four restaurants, spending time at the beach and in the fabulously put together rooms – we did everything this place had to offer. At Taj Bekal, I’ve stumbled upon my new stress-buster getaway itinerary: Take a flight to Mangalore, get the hotel to drive me to Bekal, spend three blissful nights here and then take a flight back to the grind! 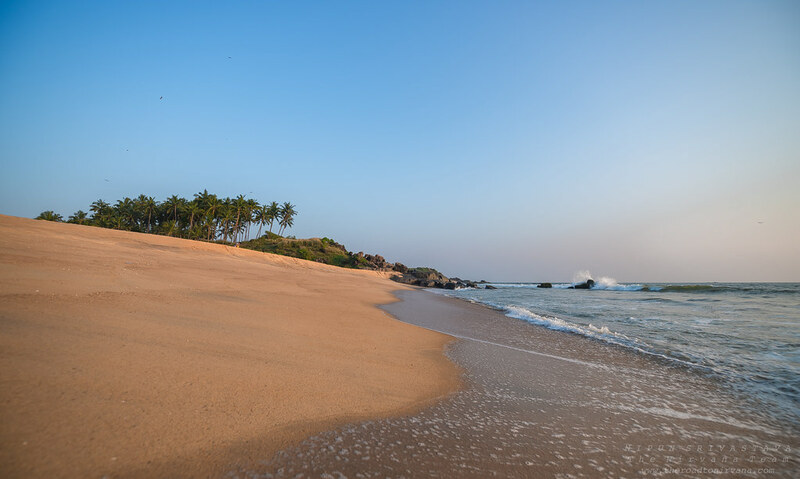 Just being at Bekal eases the senses, surrounds you with soothing shades of green and blue as the sea breeze and brown sand take turns tickling you head to toe. It really is my go-to beach holiday now! Bekal – Stress buster of sorts! Now then, with the Arabian Sea and the leisurely Lagoons of Bekal behind me, I was in the mood for some good motorcycling. I now set my target as Chikmagalur, in Karnataka. After what I had just experienced in Kerala, I didn’t expect too much to see on my way inland. Boy was I wrong, motorcycling in India is truly something to write home about! Riding away from the coast and into the Western Ghat Mountain range in South Western India, I was left dumbfounded by what I saw on my way. 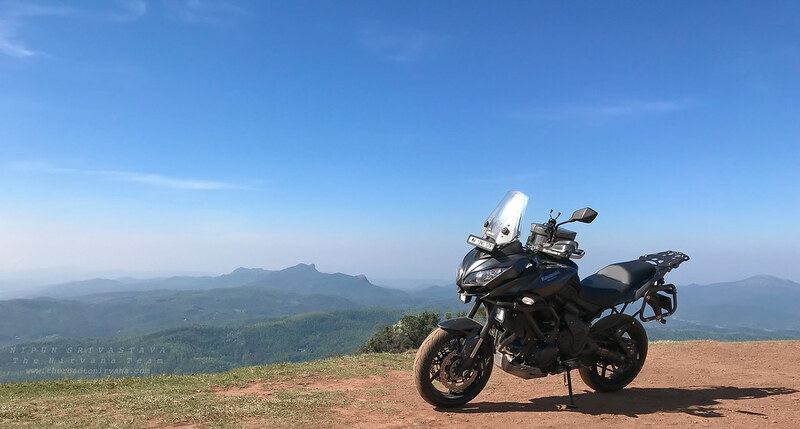 Zipping through the Western Ghats on the Kawasaki Versys 650! Kudremukh National Park, this is a protected part of the Western Ghat Mountain range in the state of Karnataka, India. 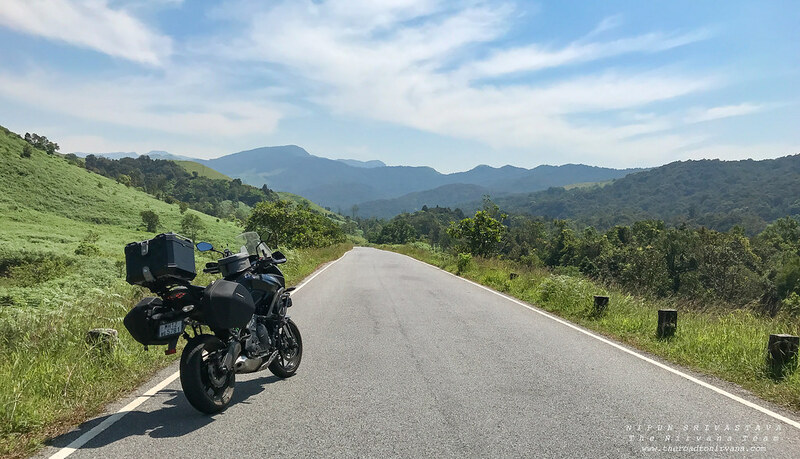 With just a single, exquisitely laid, super smooth and curvaceous road cutting through, Kudremukh has to be one of the most heavenly roads to ride on in India. Kudremukh Peak & National Park visible in the distance, as seen from Mullayangiri. Crossing over the Western Ghat Mountains, the roads now cut through lush Tea Gardens and Coffee plantations. The weather was now noticeably cooler and the roads were empty as can be! The smooth hum of my motorcycle was the perfect companion as we took turn after turn into the overwhelming green surrounds of District Chikmagalur. Chikmagalur is the birthplace of coffee in India. Legend has it that a Sufi Saint on his way back from pilgrimage to Mecca, carried a few raw coffee beans as he transited through Yemen. Those few beans are what started it all, as far as Coffee plantation in this region goes. Fascinating! As you climb down from the Western Ghat Mountains, you hit Chikmagalur Town in the foothills. It’s almost as if Chikmagalur is cradled by the mighty Ghats, sitting pretty at a height of 3500 ft. 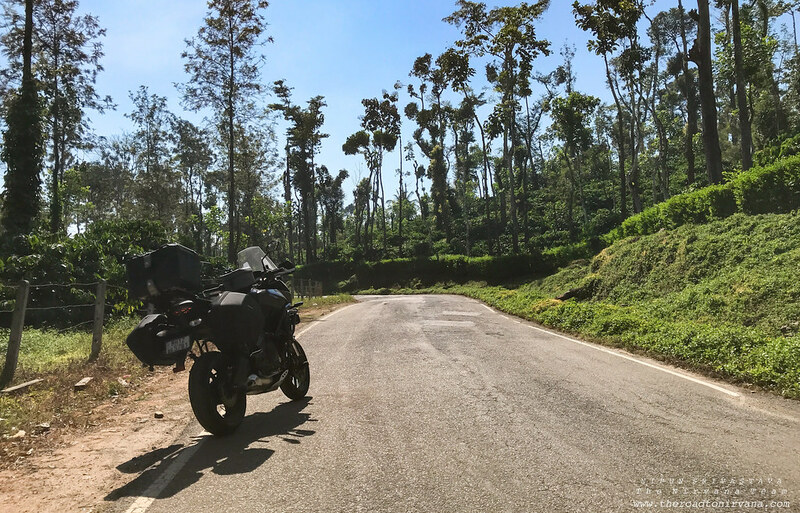 I made my way through the town, on one side was the semi-urban hustle and on the other, the mammoth mountain of Mullayangiri – the highest mountain peak in the state of Karnataka (6000 ft). Riding to the top of Mullayangiri was my next target. It had been a while since I had ridden a motorcycle above 5000 ft in Nepal and Ladakh. I wondered how far up the mountain one could reach with the Versys 650. 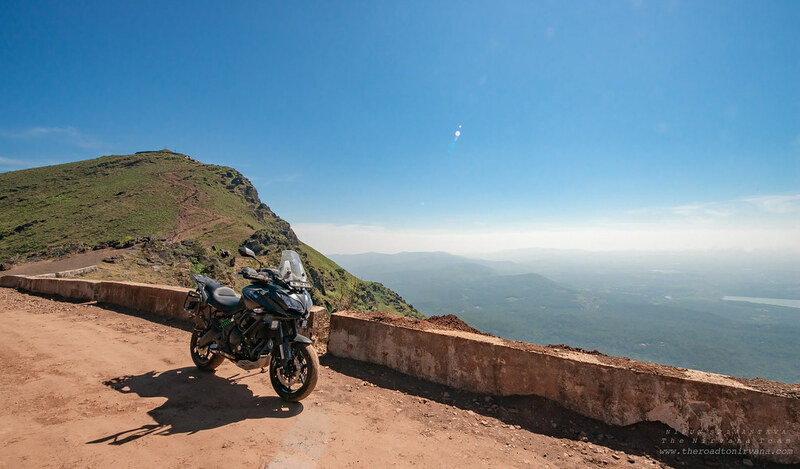 The Kawasaki Versys 650 – Atop Mullayanagiri – The Highest Mountain Peak of Karnataka, India. Getting to the top of this mountain was relatively easy. Although the extremely narrow road with tight hairpins and vehicles moving in both directions really got the blood flowing! From the thick sea breeze at Bekal to the thin air atop Karnataka’s highest peak, this had been a journey of sorts. The number of different terrains I had seen on this short 2000 kilometer ride was really something. As I rode back towards Chikmagalur town, I loaded up on the famed filter coffee and bought myself a couple kilos of beans. You need to try the blends from here, you’ll forget about the crap we drink in our cities! I really do mean that. At the Estate run shops in Chikmagalur, you can get customized coffee blends as per your preferences. Might I add, buying freshly blended Coffee here is extremely affordable. Charged up on coffee, it was time to head home. What a journey it had been – seven days, over two thousand kilometers, great food, stunning scenery, fabulous roads and so much coffee. This trip ended up being everything I’d imagined it would be and more. Safe to say, I’m already planning another trip down South. There’s just so much more to see and experience in South India! Wow, we at The Nirvana Team can’t wait to see where Nipun head’s next and which vehicle he chooses! We thank Taj Hotels for their exceptional support and impeccable service along the way, their Hotels and Resorts make the perfect pit stops for motorcycle touring in South India. The Kawasaki India Versys 650 performed like a total champ on this journey, as expected. Great performance on and off the road, fully loaded and even two-up. An absolute value for money motorcycle for India! Do tell us what you think of this photo-story by Photographer Nipun Srivastava, would you like to see more stories like this in the future? Comment down below! Follow @Thenirvanateam on Instagram, Facebook and Twitter! This entry was posted on November 13, 2018 by Nipun Srivastava. It was filed under Motorcycle Trips, Photography and was tagged with adventure, india, Kerala, mountains, photography, Travel. Excellent write-up and photos. I’ve stopped by the Taj Bekal, and I thought it’s fantastic! I also highly recommend watching the sunset at the Bekal fort.